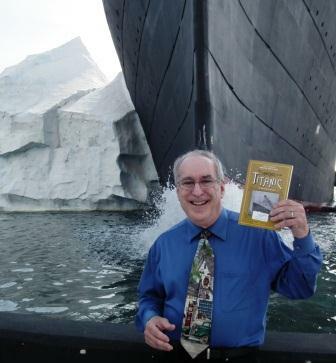 Bruce Caplan in front of the iceberg busting Titanic has sold more than 100,000 copies of his book, Sinking of the Titanic. 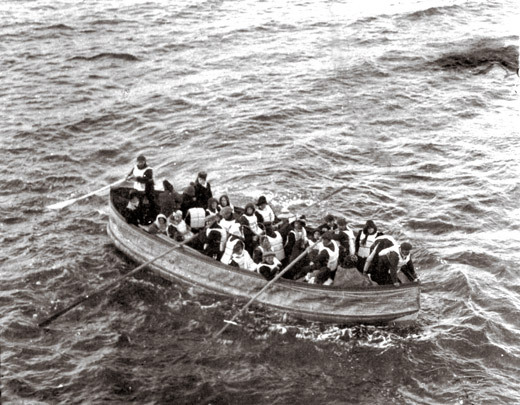 Since childhood, well-known author and editor Bruce M. Caplan of Redmond, Washington, has been intrigued by the mysteries of what really happened to Titanic’s passengers and crew on the morning of April 14-15, 1912. Caplan has spoken about Titanic to school children throughout our nation. Most recently he was in Las Vegas for Nevada Reading Week. During the 1980’s Bruce was a hospital comedian cheering up children suffering from leukemia. For two years on a weekly basis, he went room to room telling jokes and stories to the kids. During the past two years he’s been lecturing on a dozen cruises where he has related all the aspects of the fascinating saga that unfolded almost a century ago. 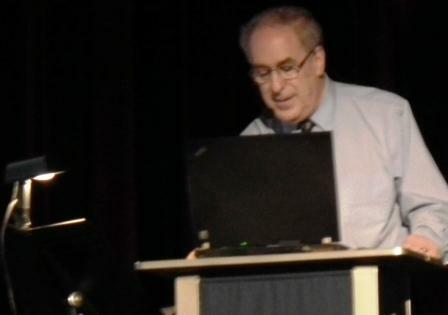 Caplan loves his audience and he delights in educating them about his favorite subject – the Titanic! Bruce Caplan is an engaging speaker on ship or shore. He has talked his way across the seven seas and over land from Dallas to Cleveland to Los Angeles. Caplan also is well versed in true crime as well as old-time radio, ready to entertain any audience. 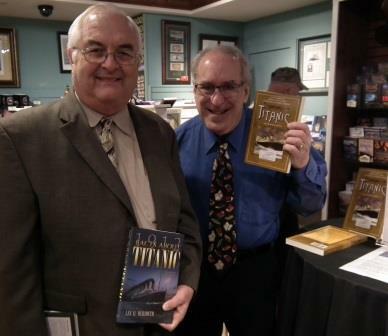 Bruce M. Caplan is the author of two books about the Titanic. 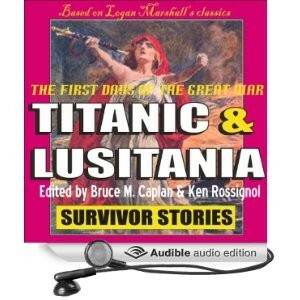 In addition to his editing and updating of the original Logan Marshal Sinking of the Titanic, Caplan, along with Ken Rossignol, edited the Marshal classics and created a new volume which explores the sinking of the Titanic and the Lusitania, and the book is actually three books in one, as it also includes an explanation of the lead-in to World War I, which is pretty fuzzy to most folks alive today. In addition to the Titanic and the Lusitania sinking’s; along with this great summary of WWI, are a collection of war posters from both England and America. These posters were created to encourage young men of both lands to join the armed services and defeat the aggression of the cruel Kaiser as Germany marched across Europe and sank civilian shipping on the high seas. 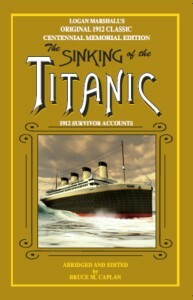 Author, editor, and speaker Bruce M. Caplan of Redmond, Washington has been a Titanic aficionado since he was a child. For the past decade, he has lectured at scores of schools and on a dozen cruises about the facts regarding the demise of the Titanic. Caplan’s book, The Sinking of the Titanic, is now in its18th printing. “I like people to know about the real facts of the Titanic,” said Caplan, who has traveled all over the country, educating people about little-known details that make the Titanic disaster more fascinating than any Hollywood film. Lee Merideth, left, and Caplan are two of the best-selling authors about the Titanic in the world. 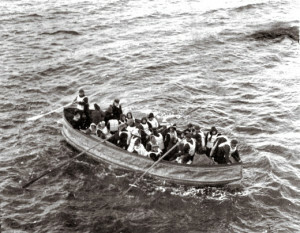 Survivors of the RMS Titanic row to the side of the steamer Carpathia and wait to be lifted to the rescue ship. When I was entering the fourth grade at my Elementary School, I saw the Titanic (1997 Movie) and instantly became fascinated with the Titanic and the mysteries upon her still. I wrote a paper about the Titanic for an essay to go into my portfolio- which has followed behind me still in High School! In the summer of 2013, for me and my baby brother’s birthdays, we went to the Titanic Museum in Pigeon Forge. My parents knew I was fascinated with the Titanic, and when they heard about the museum they knew we had to go! The day was August 1, 2013 and we were approaching the museum, I saw a book signing sign, and I remember I told Dad for my birthday I wanted NOTHING else, just to go to the museum and get an autographed book. We finally came to the wall of survivors and the lost, we saw the doors that lead into the museum gift shop, and there I saw the book “The Sinking of the Titanic…By: Bruce M Caplan,” I looked at my Mom and Dad and asked, “Can you pretty-pretty PLEASE get me this book?!?!?!?! ?” They agreed and told me, “Yes, Raegan you can.” As I walked over, I saw the author and said, “Can you please sign me this book?” He looked at me and my parents, smiling he said,”Yes I can…who do I make it out to?” Anxiously I said,”Raegan Mays, sir!” He then said, “Okay, very well!” He preceded to sign the book and it said, ” Best wishes from Bruce M. Caplan To Reagan. May you float happily on the sea of life! 8-1-13″ I was entering the sixth grade at Rowan County Middle School when Mr. Caplan signed my book. I am now a freshman at Rowan County Senior High School. I run track, and go to my church; Solid Rock Apostolic Church. Thank you for inspiring me to read and my dream of knowing the unknowns about the Titanic! Best wishes to you, Bruce. Keep on doing what you’re doing, inspiring kids to read and be informed. Thank you for helping me further my knowledge of the R.M.S Titanic! !